Arbor, a Southern California luxury real estate brokerage, came to us for help in packaging sales documents for their high-end listings. We created these bamboo screwpost binders with their logo digitally printed on the front covers. 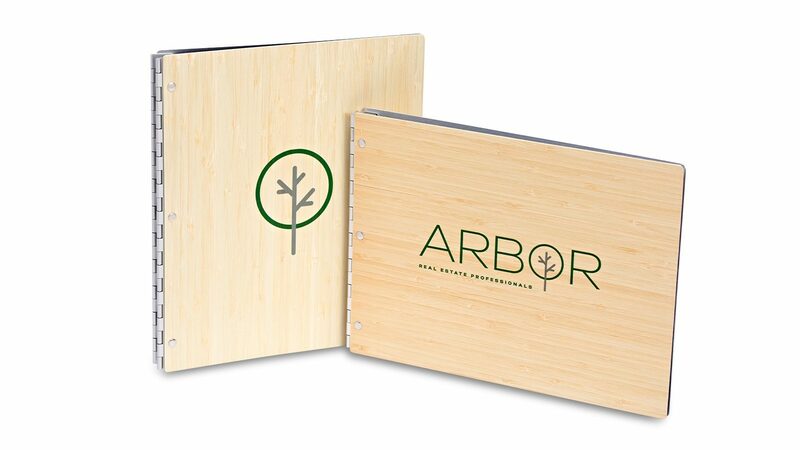 The bamboo was a logical choice as it reflects Arbor’s brand style, while the screwpost binders allow for easy reconfiguration as listings change.